The beautiful colors during rising or setting of the sun belong to the group other than clouds, the so called photometeors. They are caused by refraction of small water droplets or dust in the sky. A lot of humidity tend to make sky red and this color is dominant because it is the least refracted due to the longer wavelength in the spectrum of light. 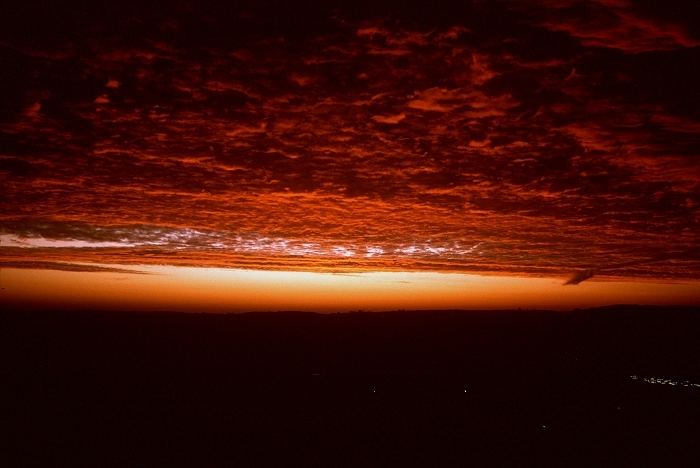 When clouds are in the sky they too tend to be red, the intensity depends on their height: the higher in the sky the less intense, unless the atmosphere is very clear. Red skies during sunsets or sunrises are fairly common sight in my area.